Will tech-powered cities revolutionize the way we live or hand corporations the keys to our privacy? A new study by the Rockefeller Foundation offers conclusions. Those are some of the conclusions of “The Future of Cities, Information, and Inclusion,” a 10-year forecast commissioned by the Rockefeller Foundation and published this morning by the Institute for the Future. “Without this catalyst for cooperation,” the authors conclude, “we may repeat the devastating urban conflicts of the 20th century that pitted central planners like Robert Moses against community activists like Jane Jacobs.” Befitting the Foundation’s focus on the world’s poorest and what it calls “smart globalization,” the report’s emphasis is on smartening up cities in the developing world–cities that lack both data about their swelling populations and the tools needed to make sense of it. The roster of expert contributors comprises a who’s who of ubiquitous computing and gov 2.0 types, including MIT Senseable City Lab director Carlo Ratti, Everyware author Adam Greenfield, the Santa Fe Institute’s Nathan Eagle, Intel Labs Director Genevieve Bell, Microsoft Research’s Jonathan Donner, and San Francisco CIO Chris Vein. Together, they highlight five “technologies that matter” for cities in 2020: mobile broadband; smart personal devices, whether they’re dirt-cheap phones or tablets; government-sponsored cloud computing (modeled on the U.K.’s national “G-cloud” initiative); open-source public databases to promote grassroots innovation, and “public interfaces.” Instead of Internet cafés, imagine an outdoor LED screen and hacked Kinect box allowing literally anyone to access the Net using only gestures. The report’s centerpiece is a map depicting how these technologies might be applied across 13 scenarios, from something as simple as on-demand census counting (to track the influx of urban immigration) to crowdsourced public services (best exemplified in the U.S. bySeeClickFix, the subject of a profile in the December/January issue of Fast Company) to high-resolution, real-time models of urban processes. None of these developments are unambiguously good, stresses Anthony Townsend, director of technology development at IFTF and the report’s lead author. Data-rich models might offer residents a chance to see how congestion pricing might effect the volume of traffic on their street, or they might be harnessed by technocrats in places like China or Singapore to further tighten their grip on how cities function. Crowdsourcing carries its own complications, adds Townsend. “It’s cooperation versus offloading: cities shoveling off service delivery onto citizen groups” in a social media successor to business improvement districts, “while in the developing world, you’re going to have governments that never provided services to begin with” leaving the crowd to fend for themselves in the name of empowerment. 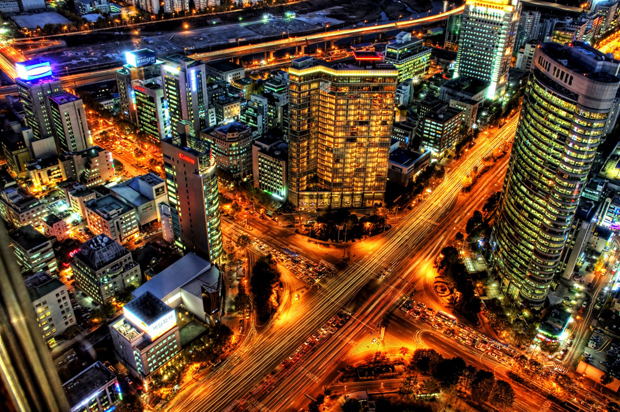 Global technology companies are offering “smart city in a box” solutions. Governments are responding to their pitch: a smarter, cleaner, safer city. But there is no guarantee that technology solutions developed in one city can be transplanted elsewhere. As firms compete to corner the government market, cities will benefit from innovation. But if one company comes out on top, cities could see infrastructure end up in the control of a monopoly whose interests are not aligned with the city or its residents.